An informational meeting will be held on Friday, January 15th from 2:30pm – 3:30pm in Room 30 to give more detailed information and answer any questions. Parents may attend this meeting if they wish. Click below for more info! Who: All aspiring actors and actresses in grades 3,4,5 and 6. 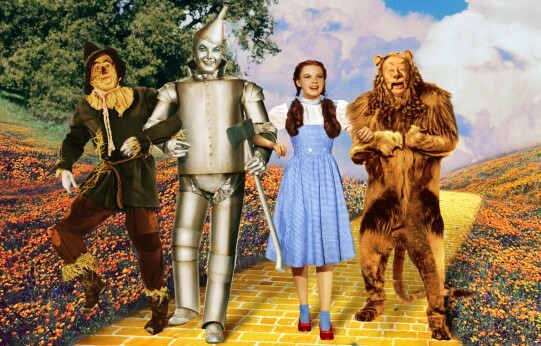 What: Auditions for the upcoming play, The Wizard of Oz. When: Auditions will be held Friday, January 22, from 2:30- 4:30 in the Multi-purpose room. Please plan to stay in entirety, bring snacks and quiet activities to do while you wait. Where: In the Proctor Terrace Multi-purpose room. Why: Our amazing PTA at Proctor Terrace has sponsored this performance, which will be directed by Susan Feige and Tina Hiatt. This opportunity will provide an opportunity for students who love acting to perform for the entire Proctor Terrace studentbody in daytime performances, as well as an evening performance for families. General Information: Rehearsals will be held on most Mondays and Fridays, with an occasional Tuesday or Thursday between the dates of January 22 and March 18th, from 2:30 – 4:30. Final dress rehearsal will be held on March 17, and final shows on Friday, March 18th.